What began as a fascination with fabric turned into a “quilting bug” that took on a life of its own. The result? A one-woman educational enterprise called Patchwork Schoolhouse. 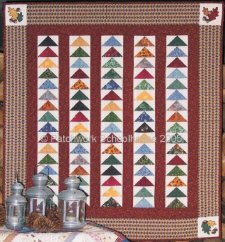 "Using Flying Geese units in a strippy set is a great way to use up some of your scraps. Add a bit of appliqué & you’ve got a great project for any time of the year! "It's my pleasure to share a few designs with you! 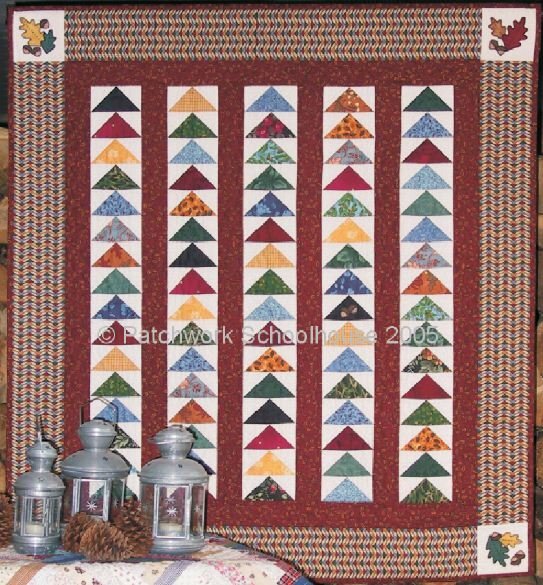 These beautiful, traditional blocks have been set with a modern twist & will add sparkle to your collection of quilts. As they have been part of my teaching curriculum for several years, each pattern comes complete with all instructions required - from yardage to cutting to quilting suggestions. Enjoy!"